Lanis Lillian McKinney, 74, of The Woodlands, Texas, passed away on Wednesday, December 6, 2017, surrounded by her family. Lanis was born on Sunday, September 26, 1943, in Mason City, Iowa, to Lansing Axel and Florance Lillian Wallskog. Left to cherish her memory are her children, Andrea Herr and fiancé Derek McIntyre, Ross McKinney and Diane Colvard, step-daughter Diane McKinney; sisters, Karol Wallskog, Rebecca Hyde and husband Walter, Jill Huygens and husband James, and her one and only grandson Duncan Herr, as well as numerous other loving family and treasured friends. 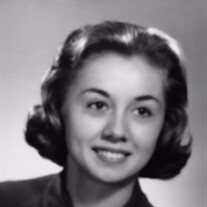 She was preceded in death by her parents, her husband Curtis R. McKinney, Sr., and her step-son Curtis R. McKinney, Jr.
Lanis was a 1962 graduate of Mason City High School and a 1965 graduate of St. Mary's Hospital School of Nursing, Rochester, Minnesota. After graduation she joined the United States Air Force. She was first stationed at Maxwell Gunter AFB in Montgomery, Alabama, where she met the love of her life, Curtis "Mac" McKinney. She retired from the USAF as a Lieutenant Colonel with the 433rd Tactical Air Wing, Medical Group, at Kelly AFB, San Antonio, Texas. Lanis was a talented and compassionate nurse, mother, sister, mentor and friend. She was loved by many and her laugh, spirit and perseverance will truly be missed by all who entered her life. Funeral services will be held on Tuesday, December 19, 2017, at 2:30 p.m., at Trinity Episcopal Church, 3901 S. Panther Creek Dr., The Woodlands, Texas 77381, where she was a very active member. Graveside services will be held at Fort Sam Houston National Cemetery in San Antonio, Texas, on Wednesday, December 20, 2017 at 1:15 p.m.